Have you ever imagined stepping out of the house without carrying a handbag? We are sure, not. There are some occasions that definitely require you to get just-right with the complete look & your handbag can sure be a deciding factor. To make it easier for you, we’ve teamed our bags with every occasion. 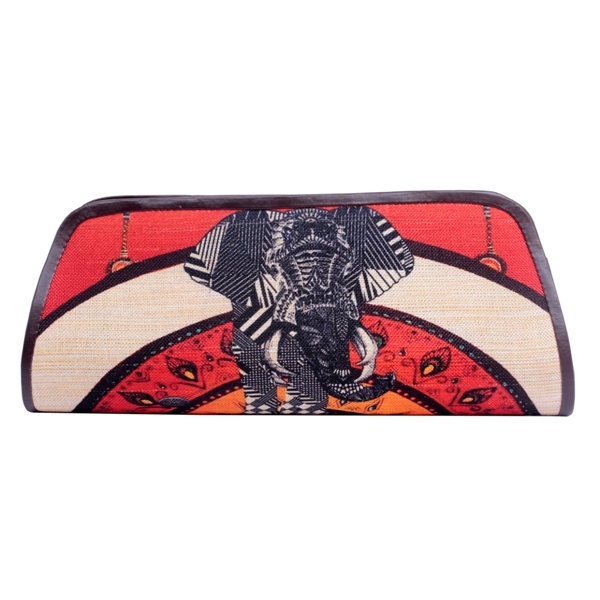 Be it a high-end event or a simple hangout with your girlfriends, this vibrant, adorable & stunning clutch will be a great pick to keep your hygiene essentials intact. Keeping in mind that your work bag is always stuffed with a lot of things, we have a bag that provides you with enough compartment & space. With a formal & Oh so classy look, it makes for a perfect Office Bag. College is the place for you to rock that hot chic look. 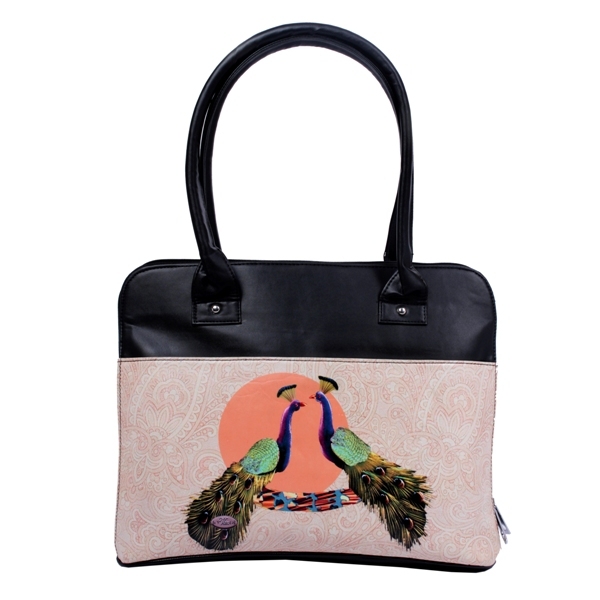 Carry this quirky bag with a basic denim & tee and be ready to handle all that attention. Occasions like Diwali, Raksha Bandhan, Dussehra, Makar Sankranti and more call for a lot of visits to your relatives & friends. 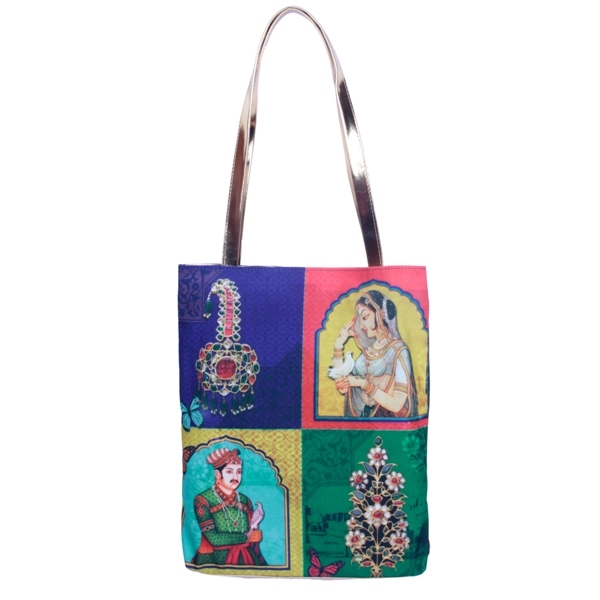 With your fabulous ethnic attire if there is anything you need, it is definitely this Tote Bag. Be it a family dinner or the small reunion dinner with friends, sequin never goes wrong on any occasion and any outfit. 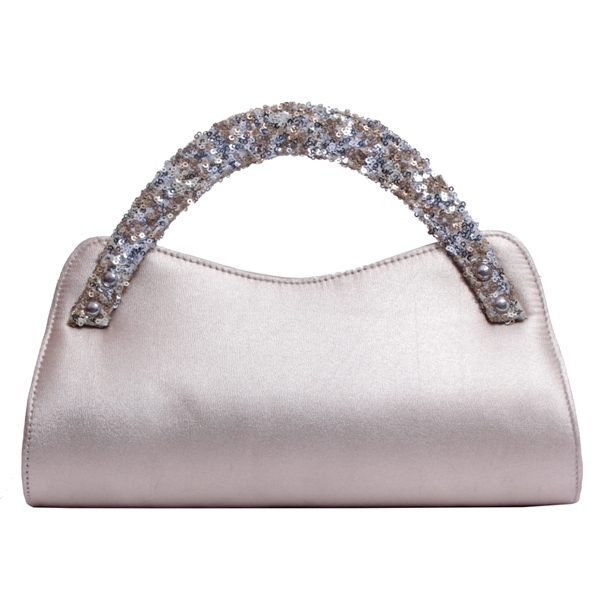 This silver sequined clutch will definitely look stunning and impress the onlookers. Be ready to get some compliments on your great fashion taste. 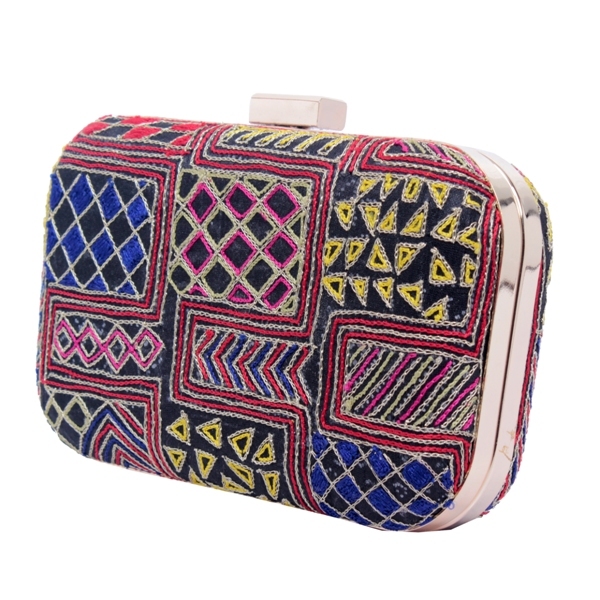 Add a delightful touch to your beautiful ethnic look with this embroidered box clutch. All you need to carry during a wedding is your makeup & other essentials and this clutch definitely serves the purpose with style. Now if you are someone who experiments with Fashion, you can certainly shuffle the pairing & try out your own combinations. All you have to do is pick the right bag to suit your outfit, and you are all set to dazzle! The cheerful season has set in! Diwali is approaching and the surroundings are filled with happiness. Everything about this festive season is so beautiful and joyous. We are sure you are filled with enthusiasm too. Amongst this merry making , we at The Bombay Store are busy to add on that extra sparkle to your Diwali with #DiwaliDhamaka. 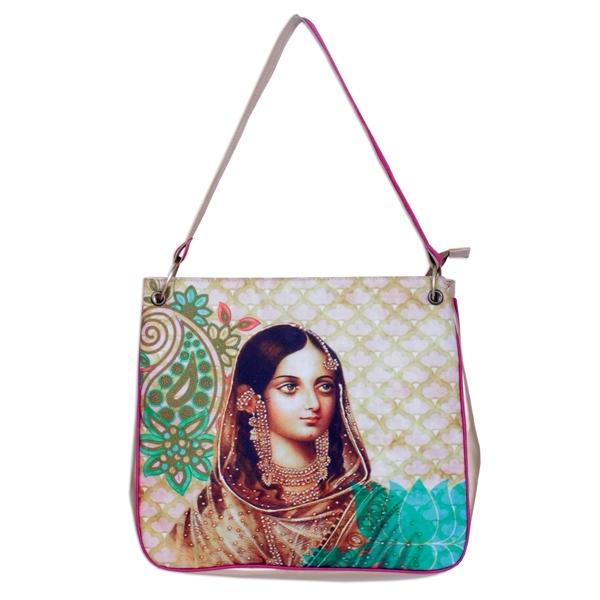 10 days of Festive Shopping at http://www.thebombaystore.com have begun. For the auspicious occasion of Diwali, we are offering a Flat 20% off on our E-Store. Shop amazing buys from a variety of product range which includes Colourful Cushion covers, painted wooden boxes, lamps, lanterns, enamel platters, trays, brass & marble artefacts, wall decor frames & paintings, fashion accessories, Tea gift sets and more. To add a little more zing to your ‘Diwali Shopping Time’, we have also arranged for fun activities at our flagship store at Fort, Mumbai on 19th October. Interested to sneak peek in the future? Then you should definitely not give the Tarot & Angel Card Reading by Chetna Ahluwalia a miss. When was the last time you painted something ? If you haven’t since a while, visit us tomorrow & join us with our ‘Diya Painting Competition’ that will be conducted throughout the day at the store. Who knows, you might end up making a beautiful Diya to deck up your house for Diwali too. 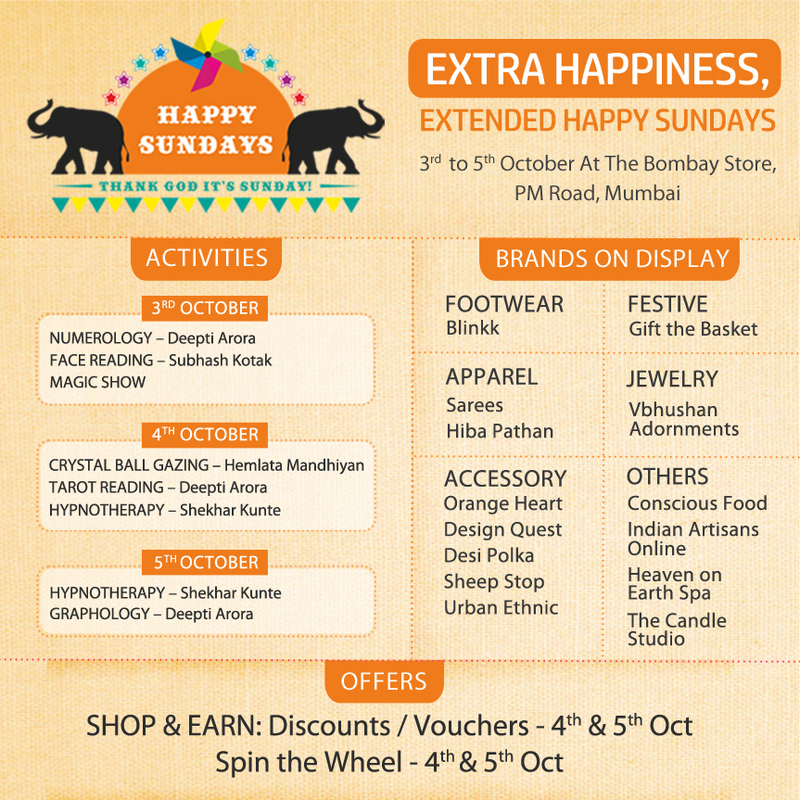 So visit us at The Bombay Store & http://www.thebombaystore.com to be a part of this #DiwaliDhamaka. Diwali Fiesta at The Bombay Store! With Diwali around the corner we are sure you are already worried about the house decorations, apparel shopping Here’s what we have instore for your Diwali Shopping this weekend! Shop artistic home decor & apparels created by the craftsmanship of Indian artisans. Apart from this, The Bombay Store has also added a festive range of sequined Cushion Covers, unique artefacts, gifting range, leaf platters and more for you to choose from a variety of products. 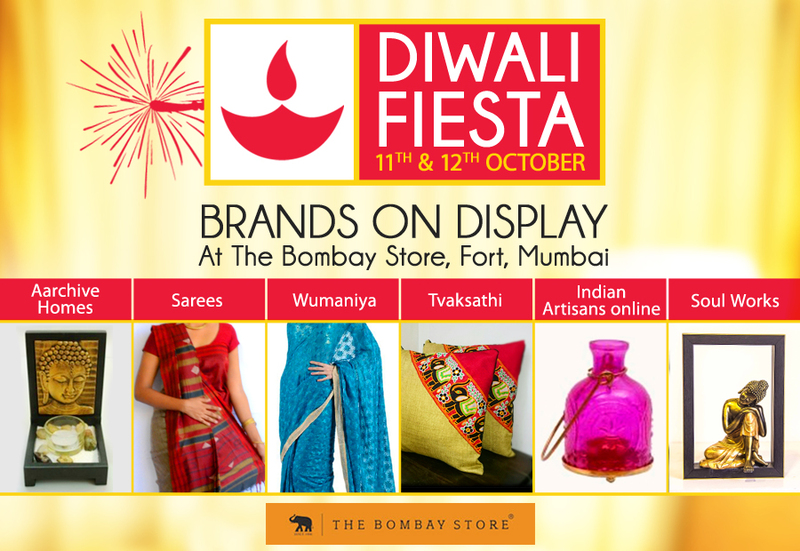 So come, Join us in this Diwali Fiesta at The Bombay Store!